Bags of Love – I’m in love! Recently Bags of Love gave me the opportunity to review one of their bags. 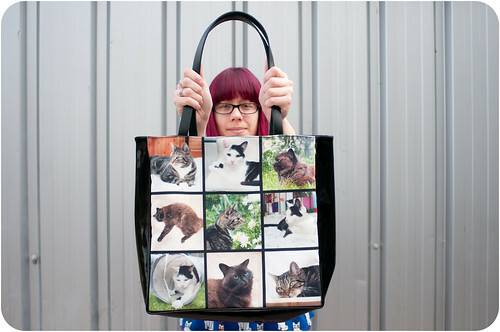 I had a browse of their website and chose the Personalised Shopper Bag. I put together a collection of photos of our cats (because I couldn’t choose just one) and sent them the image. If you’re not able to create a mosaic of images like I did in Photoshop, fret not, you can do it on their website too. I was amazed at how quickly the bag arrived as soon as I opened the parcel I was amazed!! The quality is fantastic. If you’re thinking that £55 might be a lot to spend on a bag I can understand but it is so well made and from such strong looking materials. I think it’s totally worth it and considering that it is personalised, it is very good value. 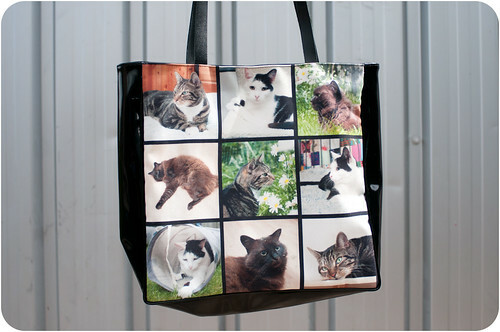 Although it’s designed as a shopper bag I can see it getting used for a lot more than that. The bag has two pockets on the inside to keep some of your things separate – always useful. It’s a great size to take on a day trip. We’re heading to London in two weeks and it will be perfect for that. 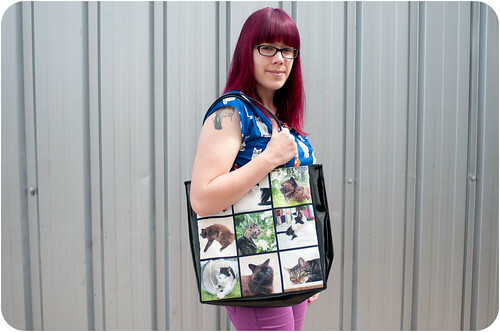 Of course the best bit is that it’s got my beautiful three kitties on it. I can take them everywhere with me! 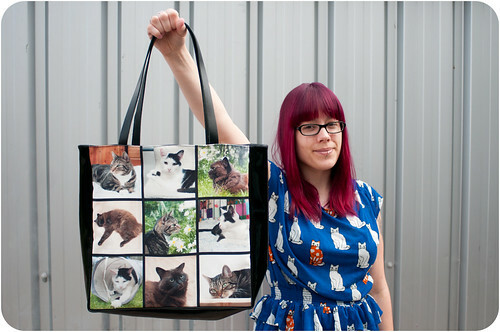 This bag was supplied by www.bagsoflove.co.uk but the words are my own. I only review products that I like and believe will be appreciated by my followers. I love it ! I’m very tempted to do a similar one featuring my beautiful girl who went missing recently.